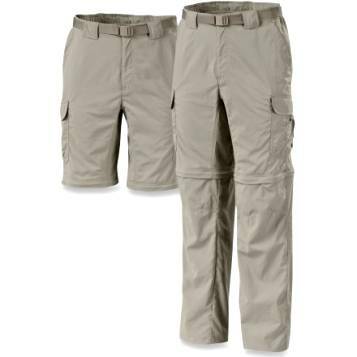 I had eyeballed the Columbia Silver Ridge Convertible Pants a few times while going to some outdoor stores, and I knew that I would have to give them a chance when it came time for me to get my hiking pants. And the time finally came. While at an REI, I tried on pants by Ex Officio, Mountain Hardwear, The North Face, 2 different styles of the REI pants, and lastly the Columbia pants. To me the Columbia’s fit me better and just felt better than the others. I was a little skeptical about they thinness of them, but so far they have held up great over time. I would not (and have not) hesitated to recommend these to people looking for light-weight hiking pants. However, everyone wears pants a little different, so I also recommend to personally try them on for fitting purposes. My full report on these pants can be read here.